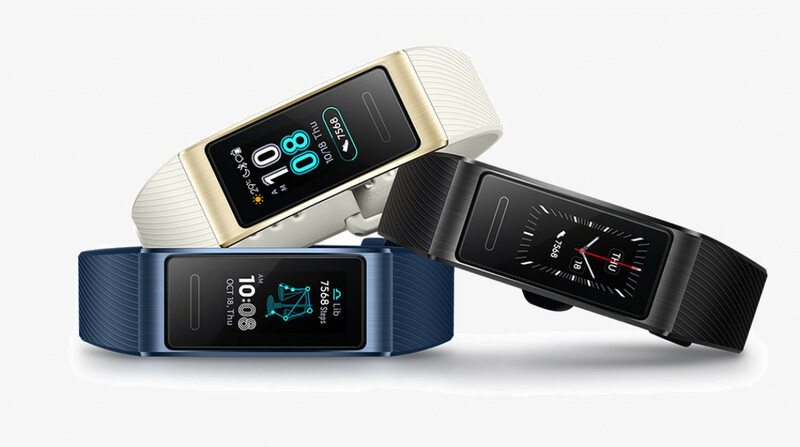 Huawei is unleashing two new wearables into the world, and while the Huawei Watch GT might be the bigger talking point, the Huawei Band 3 Pro is sure to attract plenty of attention from the fitness tracker crowd. The new tracker has been given a slight redesign with a fully touch-sensitive 0.95-inch AMOLED display that now adds color, all weighing an impressively light 25g. The Band 2 Pro's screen wasn't touch-enabled - instead you had to rely on a small capacitive button at the bottom of the display to interact with it. So this alone is a big improvement. As with the Band 2 Pro, Huawei is once again packing in GPS and 5 ATM water resistance, while casting a similarly wide net in terms of the sports it can track. The band will be able to auto-detect certain activities like running, cycling and swimming, says Huawei. But what stands out this time is the allegedly improved heart rate tracking, which Huawei says it has overhauled to be more accurate. The company says it’s relying on its new infrared light tech to track heart rate throughout the day. Heart rate tracking on the Band 2 Pro faltered at higher intensities so we're interested to see if this is something that's been fixed in the new tracker. Once again Huawei is going deep on sleep, giving you a breakdown of your night’s sleep and offering tips to improve those precious hours of rest. This was one of the standout features of the Band 2 Pro, and Huawei says it’s been working with professionals to get it right. That includes six common sleep-related conditions that Huawei says it can detect. Huawei claims the Band 3 Pro has a 12-day battery life with continuous heart rate and sleep tracking switched on, and seven hours of GPS time, which is pretty good. It'll be available in three colors - black, blue, and gold with white - later this year for €99. We're still waiting on a confirmed release date and pricing for other regions, so hang tight.